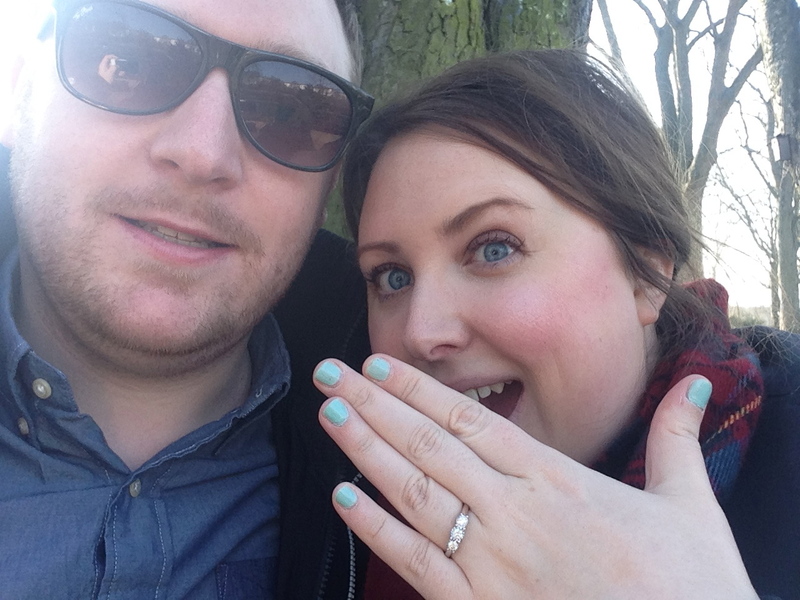 Normal blogging service will resume later this week with a post about my holiday but for now I want to let you in on some super exciting news….I only bloody went and got engaged!! Eeeeek so excited!! It happened yesterday morning in Copenhagen, in a cute little park called Ørstedparken near our hotel. We'd just had breakfast under a tree overlooking the water and after a few minutes of looking shifty, B got down on one knee holding a BEAUTIFUL ring in a box, said some nice things (that I can't even REMEMBER as I was so shocked it was happening), I said yes (obvs) and then a man walking past gave us a wee round of applause. It was very sweet, understated, and so "us".